Former White House communications director Anthony Scaramucci made waves during his 10 days with the Trump administration last summer, and he is reportedly bragging about a possible West Wing return. 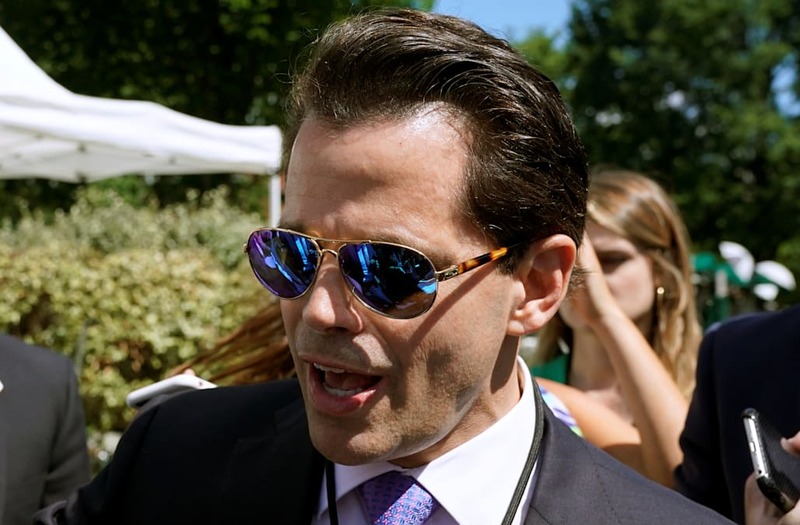 According to the Daily Beast, three sources close to "the Mooch" claim the former Trump official brags often about phone conversations with President Trump, and that his return to the White House could be, as the Daily Beast puts it, "imminent." The report also details that Scaramucci has told friends that the Trump family misses him and wants him back in the West Wing. Scaramucci was fired from his White House position on July 31 -- a move that reportedly came at the behest of White House chief of staff John Kelly. Scaramucci's short time in office was marked by multiple public scuffles with members of the Trump administration, including former Spokesman Sean Spicer and former Chief of Staff Reince Priebus, both of whom resigned their roles shortly after Scaramucci joined the Trump White House. He also raised eyebrows with an expletive-laden interview he gave, in which he criticized a slew of then-White House insiders including Priebus and top adviser Steven Bannon, about whom he made vulgar comments. The financier has found pathways for remaining in the public eye following his highly-scrutinized and short-lived White House stint. From talk show appearances to the start of a "Scaramucci Post" online brand, Scaramucci has taken opportunities to position himself as someone who maintains fringe relevance where the Trump administration's decisions and inner happenings are concerned. He recently spoke out on special counsel Robert Mueller and the FBI probe into potential 2016 election ties between Russia and the Trump, saying the 45th president is "certainly not worried about it."